In its latest bid to stay relevant in a market dominated by South Korean giants Samsung, HTC has decided to drop its “Quietly Brilliant” tagline, and with it the company’s previous strategy of focusing on its own products in their marketing. This new approach is part of new Chief Marketing Officer Benjamin Ho’s bold new path in getting the HTC brand above the barrage of Samsung’s carpet bombing approach in marketing. The new approach has been introduced for the company’s marketing of its latest Android flagship, the One. Despite producing smartphones that are arguably on par with Samsung’s range of products, HTC has continued to struggle to make a profit from its business. “We have a lot of innovations but we haven’t been loud enough,” Ho opined. With the new marketing direction for the One, HTC has already gone on the offensive against the new Samsung Galaxy S4 smartphone, launching a Twitter hashtag called #TheNextBigFlop as well as subtly gatecrashing the launch event of Samsung’s latest flagship. In addition, the company has also increased the budget for digital marketing and traditional media by 250% and 100% respectively over 2012’s figures. 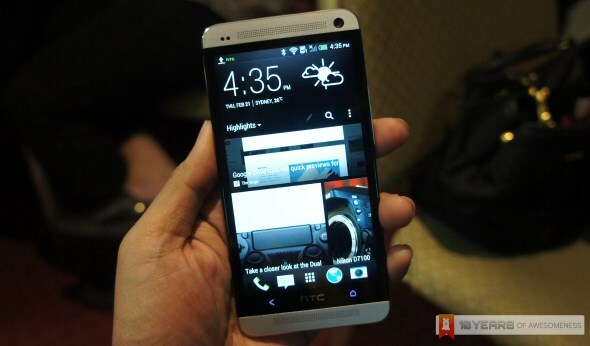 With sales tumbling 41% in Q4 last year from 2011’s numbers, this move may well be HTC’s final few throws of the dice.